FOR IMMEDIATE RELEASE AUGUST 10, 2016. 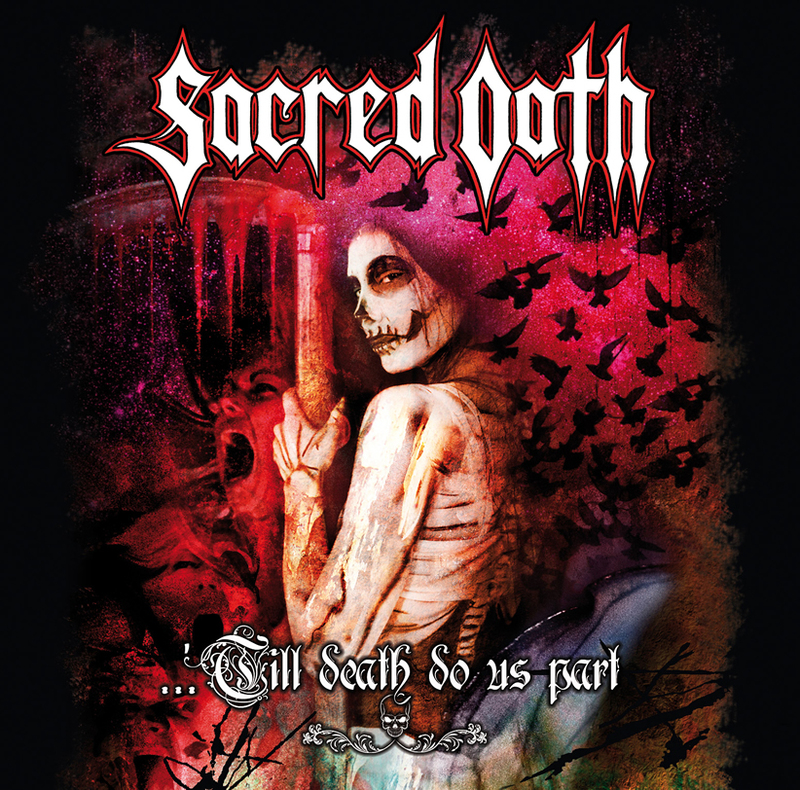 Sacred Oath announces European re-release of “Sacred Oath” and “Till Death Do Us Part” with Angel Thorne/ILS/Caroline August 19th. Classic power metal quartet Sacred Oath are pleased to announce that both their eponymous comeback “Sacred Oath” (2009) and their live album “Till Death Do Us Part” (2008) will be re-released throughout Europe on August 19th through Caroline. “Sacred Oath” will be available in both a standard and deluxe format. The standard issue has 10 songs packaged in a jewel case, and the deluxe contains 4 bonus tracks in a triple-gatefold with 16 page lyric booklet. Both formats are only available in Europe. The live album “Till Death Do Us Part” was recorded in 2007 at the Keep It True Festival in Germany during the band’s last European tour and was an iTunes top ten live metal album when it was originally released. “Sacred Oath” (standard and deluxe) features original artwork from Ioannis and the photography of Mark Weiss. “I always thought the self-titled was one of our better albums, and the whole package is a knock-out,” Evans continued. The video single “Counting Zeros” premiered on Headbanger’s Ball when it was released and marked a high point of the band’s popularity. Sacred Oath is currently recording their 8th studio album and follow-up to 2015’s “Ravensong” which was the band’s first worldwide release under the deal with Angel Thorne/ILS/Caroline/Universal. A release date for that has not been announced yet.